For Doctor Who's 50th Anniversary, Some exciting changes will take place! The TARDIS on Christmas 2012! Well another one of the rumours has come true. 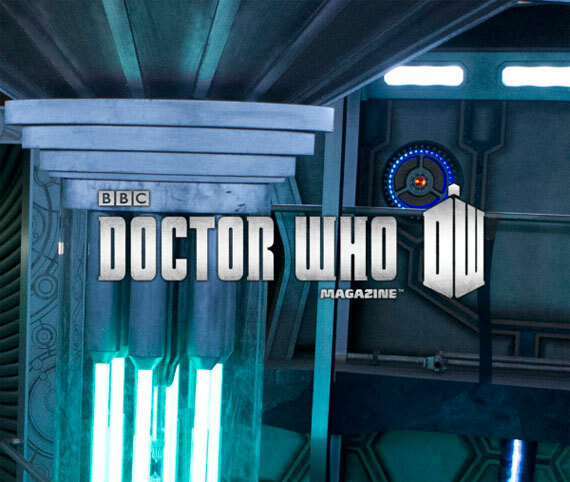 The TARDIS will indeed be getting a brand new interior, but far sooner than we expected. 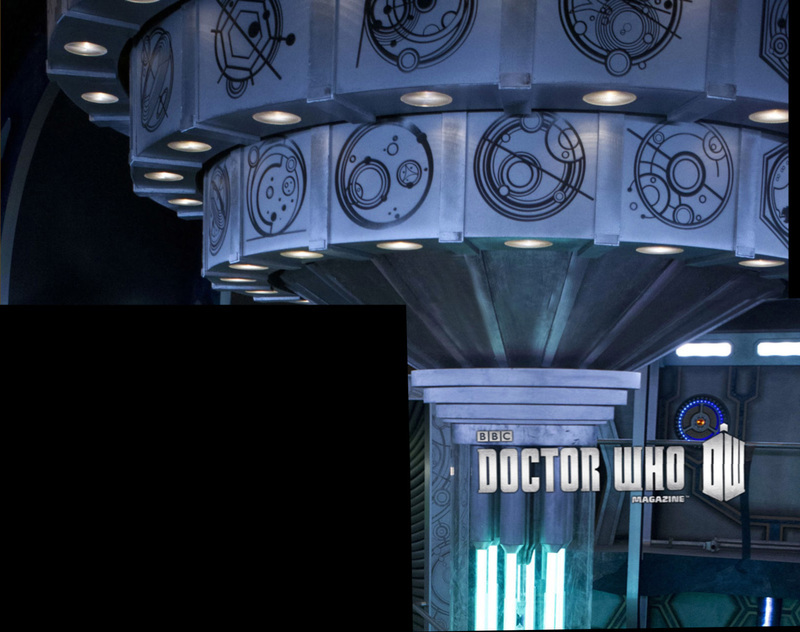 It will be fully unveiled in the Christmas special, but for now the BBC has released the teaser image above (click to enlarge). The BBC’s Doctor Who has revealed a sneak peak at a brand new TARDIS that will debut in this year’s Christmas special, The Snowmen. The second TARDIS for Matt Smith it will be the first TARDIS for new companion Clara (Jenna-Louise Coleman), who makes her entrance on Christmas Day at 5:15pm on BBC ONE. 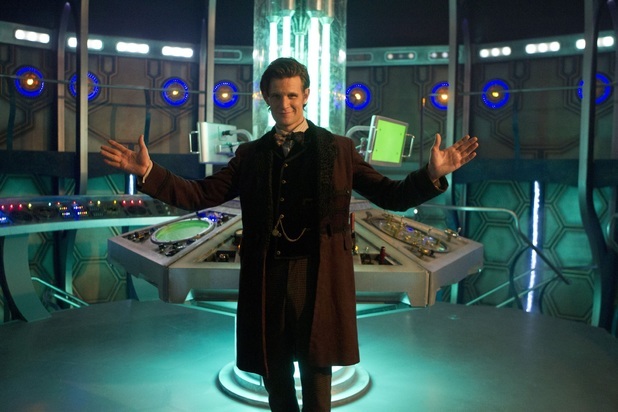 The new set was designed by Michael Pickwoad, the show’s production designer, and will be home to the Doctor and Clara as they travel through space and time when the adventure continues in spring 2013 with eight epic episodes. It’s black, with a blue hue from the time rotor lighting the room. There’s a disc looking thing on the wall, with a red light in the middle and purple lights surrounding it. 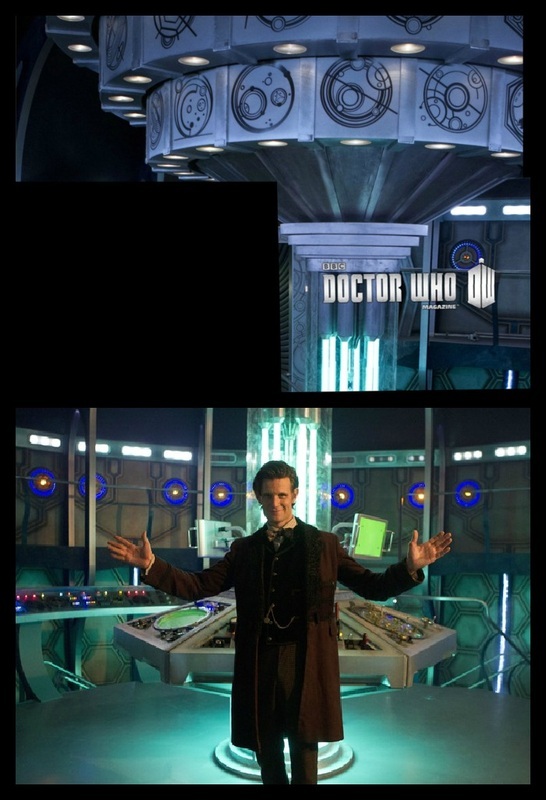 The time rotor looks very similar to the one in the Lodger TARDIS. 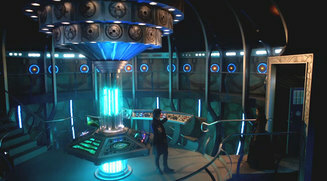 It looks much smaller than the current version, perhaps even smaller than Nine and Ten’s console room.